Capstone Young Readers, 9781623708054, 272pp. A young spy gets entangled in an action-filled, whodunit mystery When Mabel's parents leave town without warning, she isn't worried. They're spies, after all. But when her beloved Aunt Gertie is arrested for leading a smuggling ring, then her obnoxious Uncle Frank and Aunt Stella show up, demanding to be let into the family's private museum . . . things begin to look fishy. Especially since Mabel hasn't heard from her parents in days. Tackling a mystery like this one is what she has been training for her whole, short life. 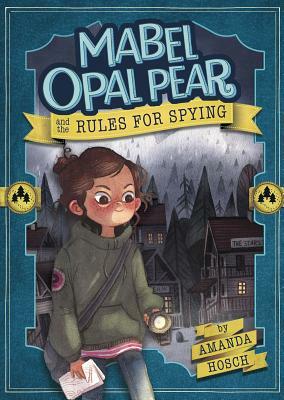 Using her self-authored spy handbook, will Mabel be able to find her parents and unmask the real criminal before it's too late? Rife with quirky characters, zany twists, and an unflinching look at the difficulty of learning to trust, Amanda Hosch's debut is sure to capture the hearts of secret-keepers, sleuths, and everyone in between.